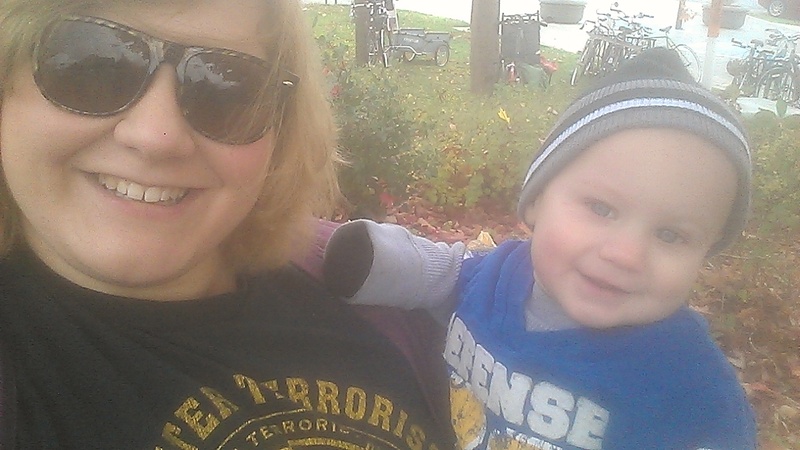 Here is my big concern… My son is 21 months now. He’s not even two years old but I’m worried sick because he’s not talking yet. Granted, I work from home so he’s only around me and I don’t spend hours a day drilling him on vocabulary. Frankly, I don’t have the time! Not only do I have my lab coat job but I am a mom, a part time student, and a live in maid. When I’m not cooking or cleaning I’m studying and when I’m not studying I’m ironing. I do talk to my son and work with him but I honestly have no idea what I’m doing. On top of all this I’m going it alone. I don’t have a husband to share the parenting load, the financial burden, or to have adult conversation with at the end of the day. So I fret and wring my hands because my friend’s daughter who is three months older than my son is using full sentences and is practically potty trained!! Not to mention my friend is also working, just moved to Georgia, and is applying to grad school. It all gives me a major mommy inferiority complex. But it’s always something isn’t it? I worried he wasn’t going to crawl, walk, or speak at all! He’s a champion climber and he says the correct amount of words for a 21 month old. My son is brilliant. He knows how to start a car. He can climb a rock wall. He can build towers with his blocks. He can also zip his jacket up. He’s also working on getting his own pants on. I know he’s fine but the mom in me worries. I guess it’s the stomach aches and the sleepless nights that you earn your mommy badges. This entry was posted in Dating as a Single Mom and tagged children, facebook, fall, help, mommy, parenting, single mom, single parenting, toddler, vocabulary, worries. Bookmark the permalink. Every child develops at their own pace. You can’t always compare their skills with others. You said he has the appropriate amount of vocabulary, so in my opinion he’s probably right on track. With that said though, always trust your intuitions. If you truly feel that there is something wrong, it never hurts to bring it up to the pediatrician. Also, love your signature line! Thanks! His pediatrician thinks he’s doing fine. I know I’m just being paranoid. He’ll talk when he’s ready.